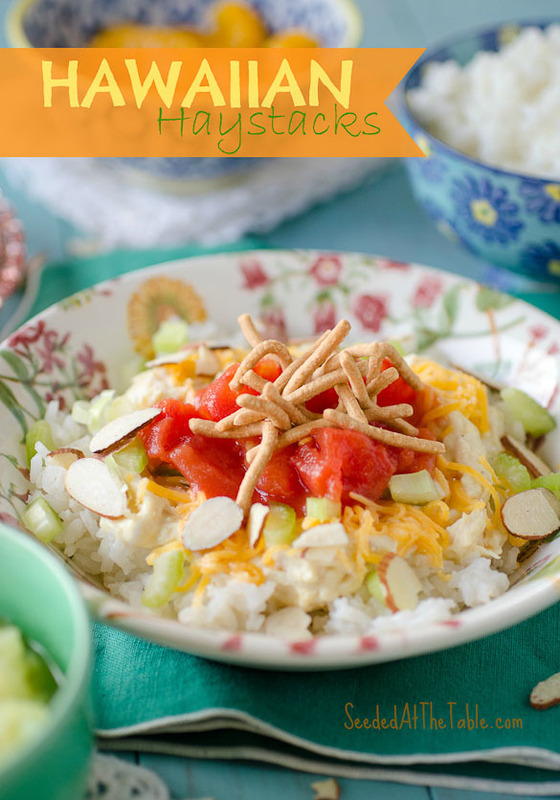 These Hawaiian Haystacks are a fun family-friendly meal great for a get-together where everyone can personalize their own bowl! 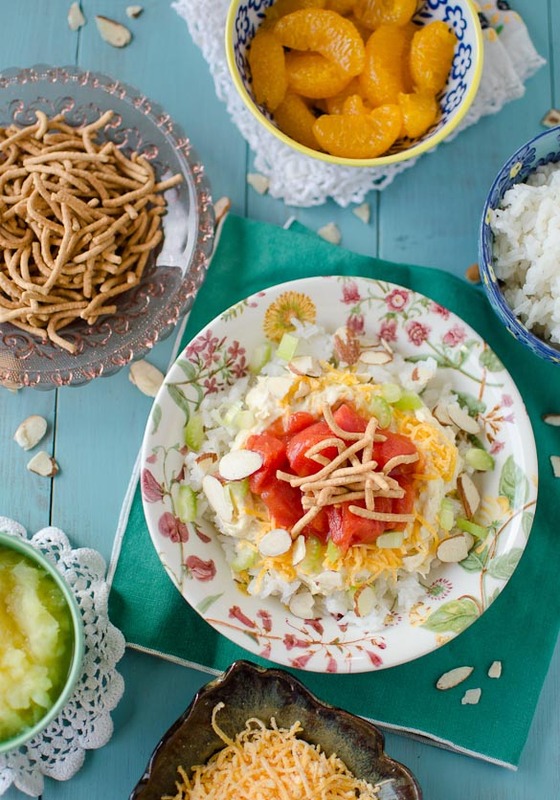 Some may call these Chinese Sundaes, but they are the same fluffy rice with chicken gravy and other fruity and crunchy toppings that you pick! Oh, friends, it is just that. G-double-oh-D, good! Please please please do not shy away without trying it first! This is how it goes. You make a simple chicken gravy (from scratch or using cream of chicken) and pour it on a mound of cooked rice. Then, go at it and layer up whatever toppings you choose from the rest of the list above! Most people I know include everything. I do it all, except the coconut flakes. It is a big wonder why all of the ingredients combined actually taste sincerely amazing, but I’m not going to question it any further. Back then, I was happy to have another family-friendly meal added to our rotation. And, now that I have kids, it’s a super fun meal for them to put together themselves. Judah first frowned at his plate during dinner time, until I told him he got to build his own haystack. He had so much fun putting everything in a pile on his plate and then was totally excited to eat it all up. 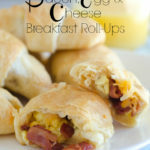 My ingredient list is what we typically use, but you can add other toppings you see fit. 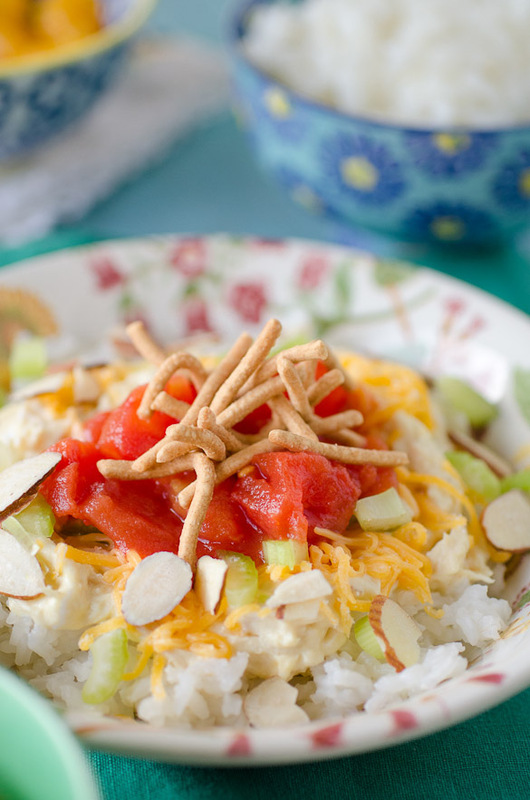 Scour the Internet and you will find many variations of Hawaiian Haystacks. I usually keep it extremely simple by using cream of chicken soup and canned fruit (mandarin oranges and crushed pineapple) but you can go all fresh, too! 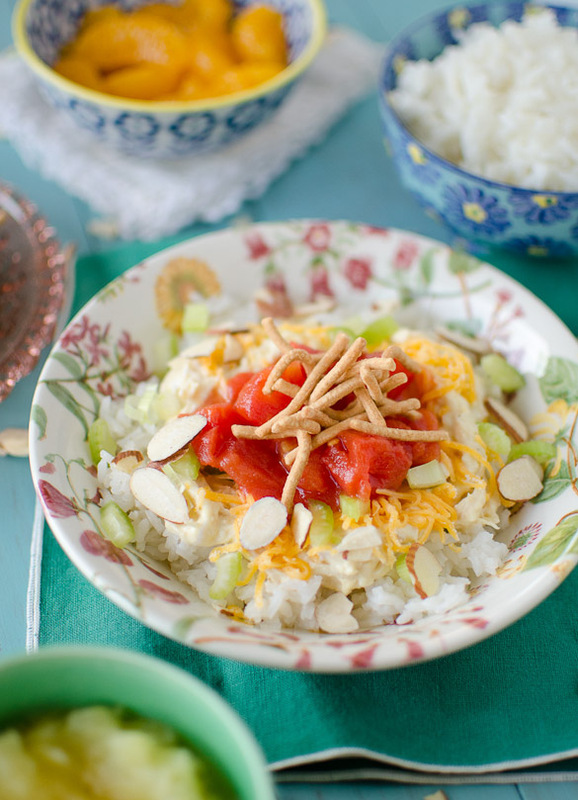 Have you ever had Hawaiian Haystacks (or Chinese Sundaes)? What do you use for toppings? Heat the shredded chicken in a large pot over medium heat. 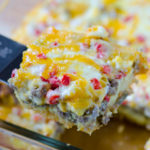 Mix in the cream of chicken and sour cream and cook until heated through, about 10 minutes, stirring occasionally. Season to taste with salt and pepper. 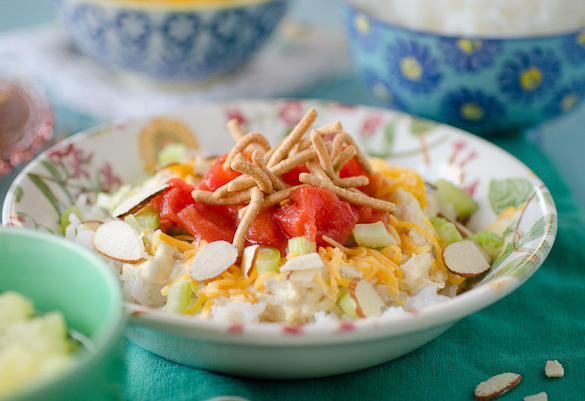 Meanwhile, assemble the rice and toppings into separate bowls for serving. Once the gravy is cooked, transfer to another serving dish. 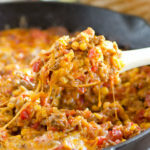 Set all servings dishes on the table and let guests make their own plates (haystacks), starting with the rice and gravy and using any or all of the toppings they choose. Store any leftovers separately in the fridge. Nikki these are gorgeous! I am totally on board! I’ve never heard of this before… looks amazing! Love this idea! The flavors combo sounds amazing! We have a very large family that gets together Christmas night and we have a version of this for dinner (peas is one of the items we use that is not on your list). We call it the 12 Days of Christmas (there are 12 different items that you pile up on your plate). The family hosting makes the chicken gravy and the other families bring a different part of the meal and it works out great. After the big fancy meals everyone has eaten Christmas Eve and Christmas Day, we really look forward to this every year. 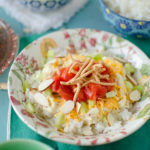 Question: Do you mix it up all together to eat it, or is it eaten kinda in layers? Wow these flavors sounds wonderful together 🙂 I can’t wait to try this out!